At every end there comes a new beginning and in this case, a rebirth. Closing their doors after a long and what some would call historic journey, Magic Stick throws in the towel to be transformed into POPULUX. The new improvements will bring people back into the city and in turn will strengthen the already booming Detroit Techno industry. Contributing as always, veteran entrepreneur Amir Daiza continues to hold his title in our music scene today. Being head of the POPULUX project, Amir shows his involvement means far more than credited for. Although many don’t take the time to look more into it, Amir adds more to his list daily. 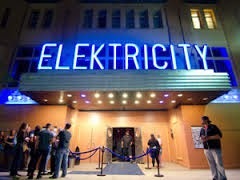 His most recent success being the hit nightclub in Pontiac, MI, Elektricity effortlessly draws a crowd of all types. Dedicating Fridays to their headlining events, Elektricity brings in popular electronic acts that gives just about any raver a home. With their popular weekly local event Bass Mission, Elektricity reaches out to some of the best up and coming artists from the metro area. While being 18+, things will be interesting at POPULUX with a more mature crowd. While the transformation of the Majestic Complex greatly benefits the community as well as the people involved, the memories left behind in the iconic rock venue will forever live on. Providing a venue for artists like The White Stripes, Modest Mouse, Kings Of Leon, Childish Gambino, Downtown Brown & many many more, it is safe to say the they are ending on a positive note. Be sure to become apart of the movement as much as you can. POPULUX is currently hiring at all positions and is looking for fun people who love their work as much as they do. A Guy Called Amir & YOS recently teamed up to bring a untouched subject to attention with "Rebirth of a City". The hit track recently released on Obsession Detroit, Another side project of Amir's. With a large focus on the topic, there has been a great response from the local community. On top of the everything, Amir has put 100% of profits from A Guy Called Amir merchandise into the Bridges for Music Charity.